Leather Case for TOM TOM GPS System*. Slip leather case from Spartechnik with rubust stiching made with high specifications. Best Case satellite navigational system. Case with great quality and fabric to fully ensure a perfect snug all round fit a fully recommended product. 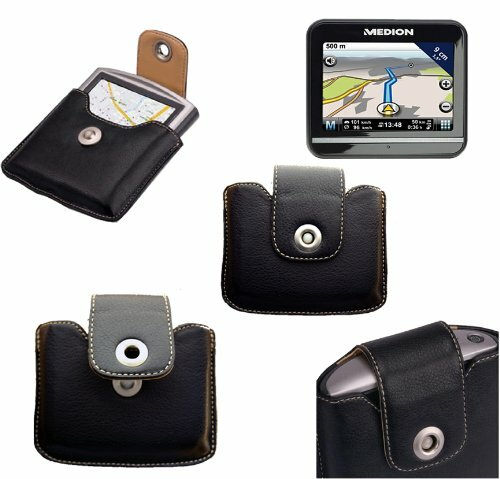 This leather case will help avoid any knocks or scratches to your GPS. Protect your GPS receiver from scrapes and scratches. Your nuvi will stay safe and secure when nestled in this compact, affordable case. If you have any questions about this product by Spartechnik, contact us by completing and submitting the form below. If you are looking for a specif part number, please include it with your message.